Featuring 4 DIY coconut oil face mask recipes, as well as the best ones you can buy ready-to-use. 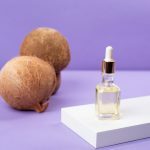 Our culture’s obsession with coconut oil is still going strong: we’re baking with it, we’re conditioning our hair with it, we’re putting it on our skin, and even on our eyelashes. More and more, though, people have begun to question whether we’re using coconut oil the right way. For example, all the claims about coconut oil being a particularly healthy cooking fat have been pretty thoroughly refuted by science: While coconut oil isn’t as bad as butter, it’s significantly less healthy than olive oil. Even when it comes to your skin, it’s important to make sure that you’re using coconut oil in the right way. The benefits of coconut oil for skin are numerous: it has antibacterial properties to fight off acne-causing bacteria, anti-inflammatory properties to calm redness and soothe irritation, and moisturizing properties to lock in hydration. 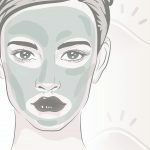 While the ingredient has many benefits, it also has a tendency to clog pores if overused, so frequent use can actually exacerbate acne and oily skin. This doesn’t mean that you should never put coconut oil on your skin, as some bloggers will claim. It just means that (as with any ingredient or product) it’s important to find the best way to use coconut oil, rather than slathering it onto your skin indiscriminately. It makes sense to use coconut oil as a face mask rather than an everyday moisturizer. A face mask can be used less often, and gets partially washed away, so it’s less likely to clog your pores. This means you can enjoy the benefits of coconut oil without worrying about potential side effects! Coconut oil is a natural antibacterial and antifungal agent. By applying it to your skin, you can help fight away P. acnes, the bacterium that causes acne, and maintain the natural balance of bacteria in your skin. You can also stave off fungal infections, including those caused by candida overgrowth. But as we’ve discussed, too much coconut oil can clog your pores, worsening acne and causing oily skin, which is why coconut oil is a better face mask ingredient than it is a moisturizer. Coconut oil has clinically proven, anti-inflammatory properties. Coconut oil has been shown to fight internal and external inflammation, making it a great remedy for irritated skin. If you suffer from redness, puffiness, or other side effects of inflammation, coconut oil can help to soothe your skin. Coconut oil helps to heal scarring. Coconut oil contains vitamin E, which helps to boost cell regeneration, thereby healing skin damage. If you have acne scars on your face, coconut oil might help to repair this damage and smooth out your complexion. Coconut oil is a powerful moisturizer. The fats in coconut oil make it an excellent moisturizer. It’s so effective, it can help to mediate the effects of atopic dermatitis. With the right level of use, coconut oil can help to soften and condition your skin, deeply restoring hydration. In summary, there are plenty of good reasons to use coconut oil for skin, as long as you don’t overdo it. (Think of it as a funny but extremely loud childhood friend: a little bit goes a long way.) That’s why we recommend combining it with other nurturing ingredients to create a DIY mask for skin. 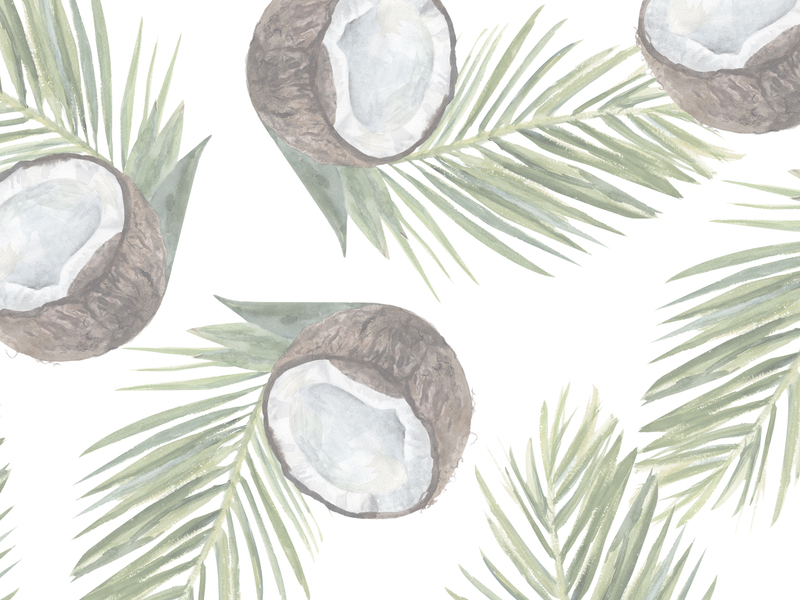 We’ve developed four face mask recipes to harness coconut oil’s benefits for skin. While other DIYers often use coconut oil as a base for face masks, we recommend that you use it more sparingly in order to avoid clogging your pores. This face mask will help to fight acne and improve oily skin tones. We’ve used yogurt as the base for the mask. Yogurt contains both lactic acid and beneficial bacteria, so it’ll eliminate dead skin cells while restoring the balance of bacteria in your skin. This mask also includes apple cider vinegar, which contains vitamins and minerals, and also has astringent properties to clean out your pores. Like coconut oil, apple cider vinegar works best when it’s used sparingly and diluted with other ingredients. To make the mask, combine 2 tablespoons of organic yogurt, ½ tablespoon of coconut oil, and ½ tablespoon of apple cider vinegar in a bowl. Mix the ingredients until they’re thoroughly combined. This ultra anti-inflammatory face mask features several soothing ingredients to soothe redness and smooth the skin’s complexion. We’re using aloe vera gel as a base for this mask, due to its clinically proven, anti-inflammatory properties. This mask also includes matcha green tea, which contains vitamin C and other antioxidants to fight inflammation throughout your body. To make this mask, combine 2 tablespoons of organic aloe vera gel, ½ tablespoon of coconut oil, and ½ tablespoon of matcha green tea powder. Mix the ingredients until they’re thoroughly combined. Aloe vera gel makes a bold return as the base for this healing face mask, as it’s been shown to help reduce the appearance of acne scars. 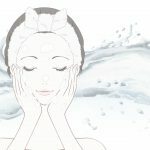 This mask also includes lemon juice, which is rich in the antioxidant vitamin C, as well as rosehip seed oil, which contains vitamin C and several fatty acids. These ingredients help to repair damage by fighting free radicals, and delivering vital nutrients to your skin. To make this mask, combine 2 tablespoons of organic aloe vera gel, ½ tablespoon of coconut oil, 1 teaspoon of lemon juice, and ½ tablespoon of rosehip seed oil. Mix the ingredients until they’re thoroughly combined. We’ve used avocado as the foundation for this moisturizing mask. Along with vitamins and minerals, it contains fatty acids to boost moisture in your skin. This mask also features honey, a natural humectant that helps to seal in moisture, providing long-term relief from dry skin. To make this mask, blend ¼ of an avocado in a blender or food processor, or mash it into smooth paste. Then add ½ tablespoon of coconut oil and ½ tablespoon of honey, and mix all of the ingredients together to combine evenly. To use any of the face masks on our list, start with clean, dry skin. (If you have time, press a warm washcloth to your skin for 2-3 minutes to open up your pores.) Using a brush or clean fingers, apply an even coat of the face mask to your skin, avoiding your eye area. Let the mask sink in for 10-20 minutes, and then rinse to enjoy revitalized skin! There’s no need to be put off of using coconut oil due to concerns about clogged pores. As long as you don’t use it too much, or too frequently, coconut oil definitely has a place in your beauty toolkit! When using a face mask with coconut oil, we recommend that you begin with twice-monthly use, and then adjust to suit your skin type. Prefer a ready-to-use coconut face mask instead? Here are the best ones on the market, featuring the purest natural ingredients. No need to fear coconut oil clogging your pores with this face mask, as it also contains activate charcoal to deeply purify your pores and remove debris, excess oil, and bacteria. This mask is great for combatting inflammation and reddened skin, as it contains pure honey to tone and brighten skin. Contains extra virgin coconut oil for the most potent nutrients. This luxe face mask actually contains chunks of ripe coconut in it, and is particularly moisturizing for skin with the addition of shea butter.